John Lloyd Stephens (November 28, 1805–October 13, 1852) was an American explorer, writer, and diplomat. Stephens was a pivotal figure in the rediscovery of Maya civilization throughout Middle America and in the planning of the Panama railroad. 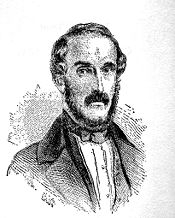 John Lloyd Stephens is currently considered a "single author." If one or more works are by a distinct, homonymous authors, go ahead and split the author. John Lloyd Stephens is composed of 11 names. You can examine and separate out names.